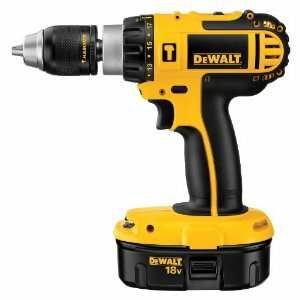 These DeWalt Drills have the features that the entire product line up of DeWalt boasts of- an extra long battery life and a superior runtime, which is provided by the powerful 18 volt system. The DeWalt Hammer Drill is a tool for professionals, who take great pride in their work and take it very seriously. This power tool from the house of DeWalt makes almost every job easy. 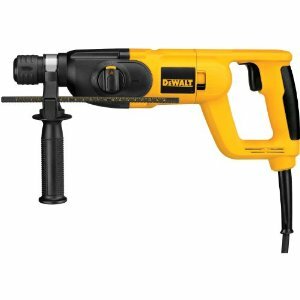 The drill itself comes with a half inch hammer drill that packs a lot of power and comes with loads of features. The motor of the DeWalt Hammer Drill is very strong, holding its own among its other competitors in the market. It provides a good performance with its 18 volt motor, churning out 510 unit watts of power. The three-speed, all metal transmission gives out ample power and torque for getting the most difficult jobs done. It operates at the maximum efficiency, at high as well as low speeds, giving the maximum output no matter what the conditions are. The SRP ½ self tightening ratchet chuck is of a heavy duty construction grade that tightens as it operates. This ensures that you get a strong grip on the power tool during any job. The bit gripping technology of the DeWalt Hammer Drill allows the power tool to seamlessly transfer from one bit to another, simultaneously providing a slip-free and safe job. The ergonomics of the power tool include its comfortable grip, which is very useful when tackling with the most complicated and difficult jobs. It prevents the power tool from twisting dangerously while drilling deep holes. The DeWalt Company has been known to create durable and reliable tools that are fit for a professional level. During trial, it was found that the DeWalt Hammering Drill drilled more quickly than the Milwaukee Hammer Drill, especially with its patent self-tightening chuck system. The DeWalt Hammer Drill is a powerful, durable and efficient tool that provides all the power needed for any job. In addition, it can take up a lot of beatings and still work well, which is very useful for professionals. However, it is slightly heavier than its counterparts in the market, and can be cumbersome for jobs that require flexibility. On the whole, this power tool is a perfect addition for professionals that are looking for a lot of drilling a not too much of driving, and for that it deserves a rating of 4/5. Return From DeWalt Hammer Drill Page to Home - Finishcarpentryhelp.com.